It was just nine days ago that Wild General Manager Chuck Fletcher made a bang to start the trades at the 2011 NHL Entry Draft in Saint Paul, acquiring Devin Setoguchi, Charlie Coyle and a first-round draft pick, which turned into Zack Phillips, in exchange for All-Star defenseman Brent Burns. Fletcher acted like the Wild would be fairly quiet when the free agent market opened two days ago, but what we didn't know is that the GM would make some fireworks this 4th of July weekend thanks to another blockbuster trade with the Sharks. 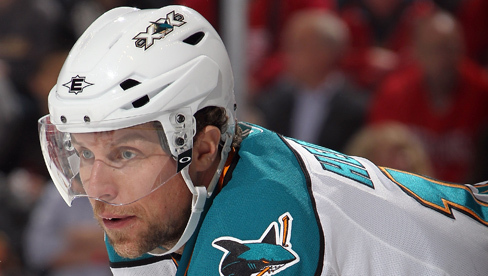 Late Sunday evening, Fletcher signed off on a deal to swap right wingers with the Sharks, bringing in Dany Heatley in exchange for Martin Havlat. Heatley recorded 64 points (26-38=64) in 80 games last season with the Sharks. The 30-year-old native of Freiburg, Germany ranked tied for 12th in the NHL with 11 power-play goals and added five game-winning goals. Heatley added nine points (3-6=9) in 18 playoff games. The 6-foot-4, 220-pound winger ranks first in the NHL in power-play goals (128) and game-winning goals (58), third in goals and fifth in points since he entered the league in 2001. He has has collected 689 points (325-364=689) in 669 career contests in nine seasons with Atlanta, Ottawa and San Jose. He was the winner of the 2002 Calder Memorial Trophy, named to the 2006 NHL Second All-Star Team, the 2007 First All-Star Team and has been named to the NHL All-Star Game four times. Heatley is familiar with the midwest, having played two seasons (1999-2001) at the University of Wisconsin, where he notched 113 points (52-61=113) in 77 games and was named the 2000 WCHA Rookie of the Year and to the 2001 NCAA West First All-American Team. He was originally selected by the Thrashers with the second overall pick in the 2000 NHL Entry Draft. Havlat tallied 116 points (40-76=116) in 151 games in two seasons with Minnesota. The 30-year-old has recorded 512 points (209-303=512) in 621 career NHL games with Ottawa, Chicago and the Wild.